A woman recently elected to the York Region District School Board is defiantly, and successfully, rejecting calls to step down after making comments described as xenophobic and racist. 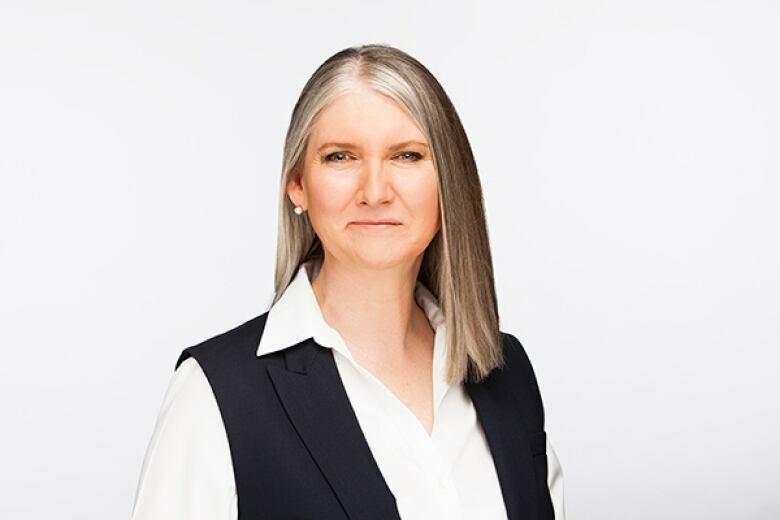 Elizabeth Terrell-Tracey was elected as trustee for East Gwillimbury and Whitchurch-Stouffville on Oct. 22, but quickly came under fire for social media posts that targeted her opponent, Lena Singh. On Oct. 26, the school board announced that Terrell-Tracey had withdrawn her name from the position, posting a letter attributed to the trustee-elect in which she acknowledged her “hurtful and offensive” comments. The trustee-elect added that her “personal health issues” would have hindered her ability to do the job. However, hours later, the YRDSB pulled down the letter and said Terrell-Tracey was reconsidering the move. In an email sent to CBC Toronto and school board staff on Friday, Terrell-Tracey defended her position. “I have been given by God ordained thru the people a polarizing position to create peace. I will not quit. The people elected me, all walks of faith, all nationalities because I am a healer, blessings come to those that wait,” she wrote in the email, sent at 12:13 a.m. 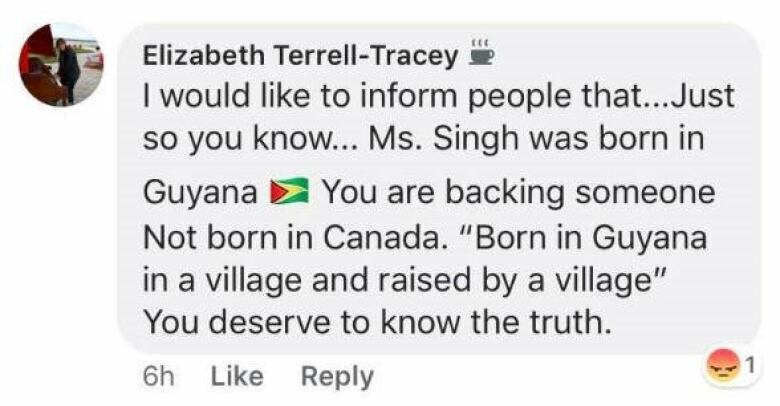 While the YRDSB has strongly criticized Terrell-Tracey’s social media comments since her election, it appears the board has no ability to prevent her from being sworn in on Dec. 3. “The Facebook comments we have seen, regardless of context, were xenophobic, racist and hurtful,” said board chair Corrie McBain in a statement earlier this week. The board’s director of education, Louise Sirisko, said there has been a “loss of public confidence with our board” since the election. Can she be forced out? Since the election, a variety of parents, community members and trustees have implored Terrell-Tracey to withdraw from the position. There are also calls for the board to force her out. After exploring several options, the board said it now appears that no such mechanism exists. In an interview with CBC Toronto, Sirisko said there are a number of processes in place around equity training and education for new trustees. The YRDSB also has a new integrity commissioner, who can field complaints from the public about trustees. However, Sirisko said the commissioner is likely unable to investigate concerns arising prior to the time a trustee is sworn in. “I think it is very likely that [the commissioner] is going to be looking forward, not historically,” she said. Sirisko added that the province also does not have the ability to take action against an elected trustee. “It makes me very uncomfortable to work alongside this person, because we know what their thinking is,” said Juanita Nathan, YRDSB trustee for Markham Wards 7 and 8. She was born in Sri Lanka and called Terrell-Tracey’s comments hurtful. In 2017, the YRDSB also faced pressure to oust former trustee Nancy Elgie, who used a racial slur in reference to a black parent. She eventually resigned after weeks of disruption and protests. In Chilliwack, B.C., a similar battle has ensued after a school board trustee was pressured to resign over comments about transgender children. He has not stepped down. In Terrell-Tracey’s Friday email, she said that her first order of business as trustee will be to install an “official First Nations totem pole” at Summitview Public School in Whitchurch-Stouffville. The school was home to a totem pole built by students in the 1970s, but the structure was removed last year. The board said there was little consultation with local First Nations at the time of its construction, and that the pole had become structurally unsafe. Summitview Public School has not requested a new totem pole, which are traditional to Indigenous peoples in the Pacific Northwest.